When the residents of a London street all receive postcards stating "We want what you have," they assume it's a marketing campaign - and until things escalate. 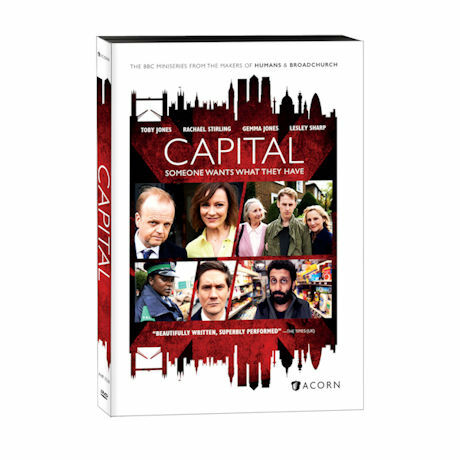 Based on John Lanchester's bestselling novel, this complex drama is an "alarmingly recognizable" (Times, UK) depiction of modern life in England's capital city, with its skyrocketing property values. With Toby Jones (Detectorists), Rachel Stirling (The Bletchley Circle), Wunmi Mosaku (Batman vs. Superman), and Adeel Akhtar (The Night Manager). 4 episodes, 3 hrs, 1 DVD, SDH. Mature audiences.